Christelle Debeuf from the Thayer Street stores is the winner! 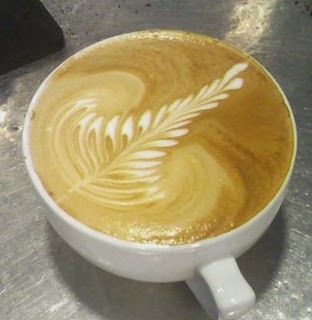 A classic rosetta, very well balanced with nice color infusion takes the prize this round. Congratulations to the College Hill Cafe and Christelle.